The LA Times Food Bowl is the largest food festival the city has ever seen. Events run throughout May, and Jonathan Gold is often at the center of all the fun. 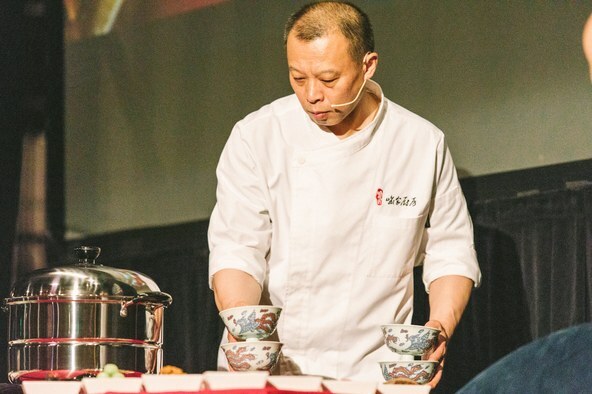 On May 4, the Food Bowl hosted the “Sichuan Summit.” Gold moderated a panel featuring legendary chef Yu Bo and writer Fuchsia Dunlop. The event also brought together some of the best Sichuan chefs from Los Angeles to collaborate on a a meal. Gold also talks about the Food Bowl’s Night Market from May 16 to 20, an open-to-the-public event where eaters get to mingle with their favorite chefs.